– A visitor’s pass, entitling your guest to a drink on arrival. – A complimentary manufacturing tour. – A memento of their visit to AFROGEM. 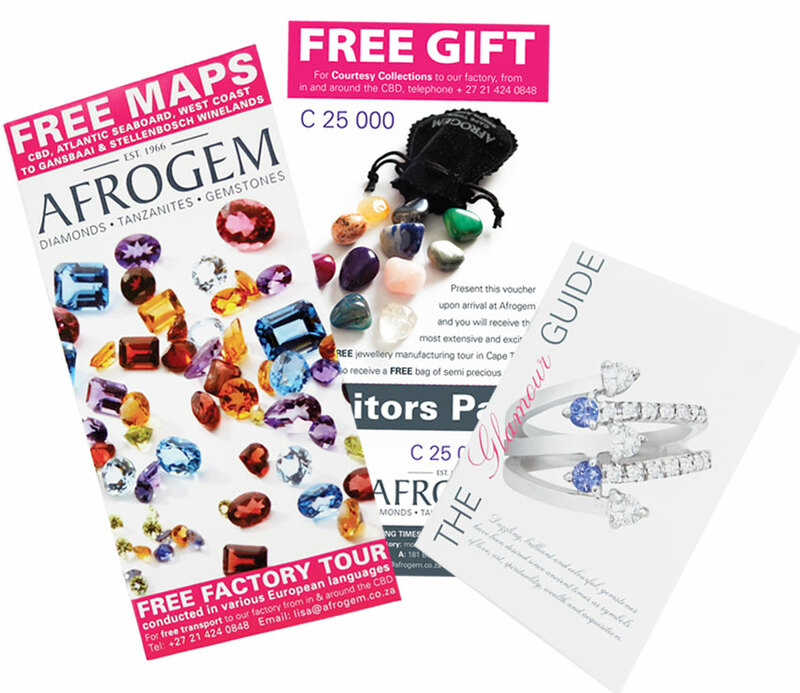 – PLUS our unique Glamour Guide which gives your visitors the best deals in Cape Town on a range of stones including diamonds, tanzanite and other semi-precious stones, and made up jewellery. 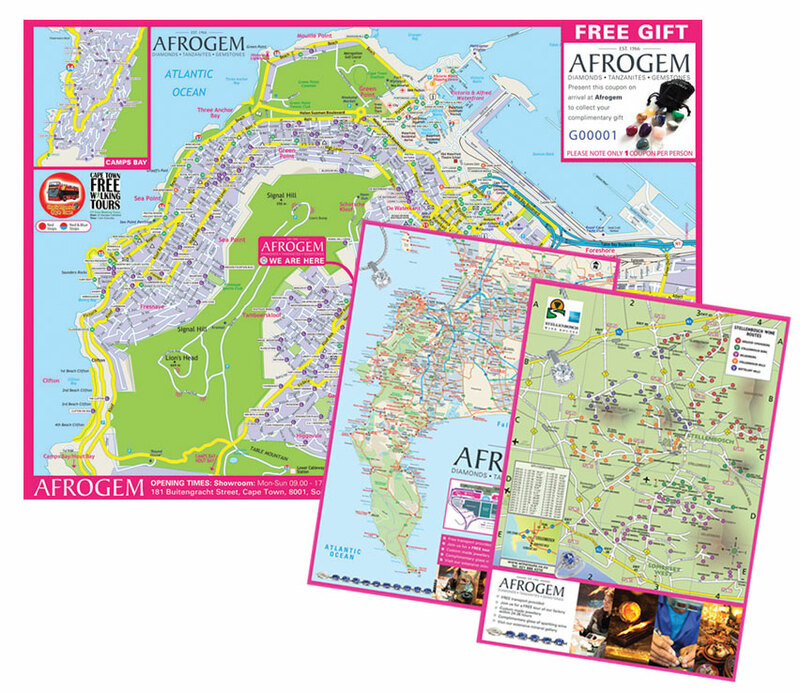 Our desktop map pads provide quick and easy access for your guests and you. On each of the 75 maps in the pad, your guests will find every road, museum and sight worth seeing. It also includes the Hop-On-Hop-Off bus route. This is the up-to-date map has every road, guesthouse and hotel, and is updated every three months.